Imagine stepping into a grand high-ceilinged lobby, with an ornate rose window as a backdrop, and an original 1920’s gilt-edged chandelier illuminating the space. The Cabot is an experience like no other–deeply welcoming and unpretentious, intimate, exceptional and live. A grand dame of a theater; still possessing her historic charm but with all the modern amenities that make this encounter timeless. And it’s right here in the North Shore of Boston and better than ever! To fully realize the potential of this extraordinary moment in time, The Cabot is embarking on a three-year capital campaign. We seek to raise $6 million, culminating in The Cabot’s 100th birthday year-long events and parties in 2020 to complete the renovations that the founders dreamed of, when saving an important piece of our shared history. 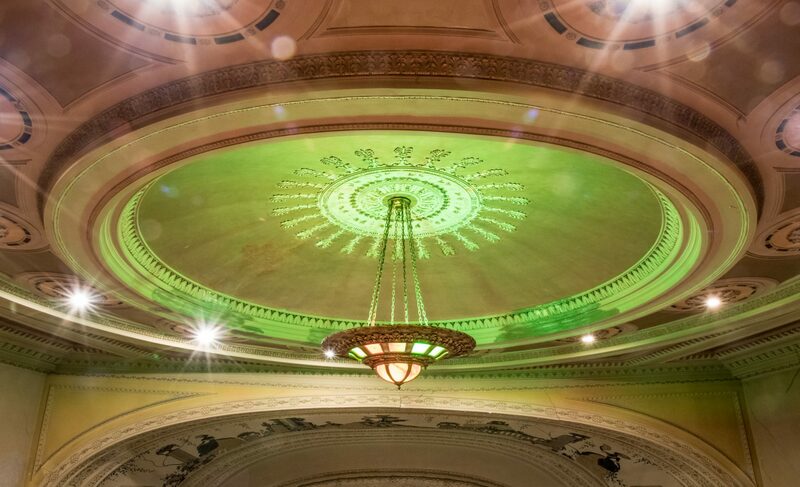 Consider a transformative gift to The Cabot 100 capital campaign to ensure that this historic treasure lives on and future generations enjoy world-class entertainment in this beautiful space.